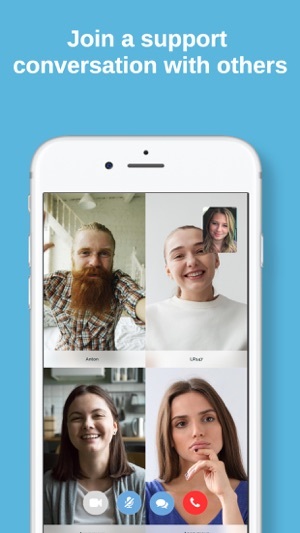 TelaPeer's video chat app is transforming peer support conversations. We make peer to peer support and shared experience conversations accessible, convenient and safe for anyone, anytime, and anywhere. We are the first purpose-built mobile and web App designed to introduce and connect others into peer support conversations. 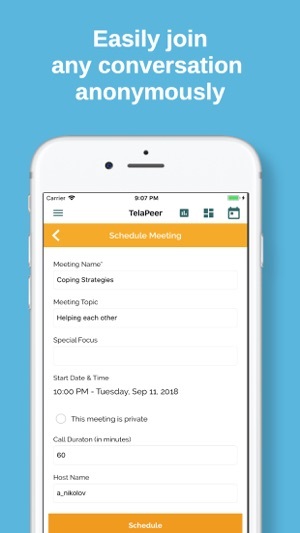 hospital systems, universities, religious organizations and individuals that host support groups rely on TelaPeer to connect with their community. - Self track how support is helping your wellbeing. The app is so helpful, it has a simple design and is very effective. The features are up to date and the app is easy to download.